This is the time of year where we're going to be cooking and baking goodies a lot. We'll be in the kitchen for one reason or another getting dinner or dessert ready for friends and family. I know for my household, the baking and cooking starts in October for Canadian Thanksgiving and doesn't end until after the New Year. For those of you who love to cook and bake or for those of you who has a friend or family member that is a serious cook or baker who is always in the kitchen, you'll want to make sure to give them the Push Pan by Wilkinson and/or Woll Diamond Plus Pan this upcoming Holiday. Both items are perfect for those of us who love to cook and bake. I had the opportunity to review both and I have to say I was very impressed. I got to use the Push Pan to make a cheesecake that turned out great. The fact that the bottom part of the pan pushes up so that your cake or cheesecake can easily pop up without sticking just makes me love the pan even more. When baking, non stick items are a must so that what you're baking doesn't fall apart. The Push Pan is a nonstick pan, that's leak-proof and watertight. It removes your cake very smoothly and it's dishwasher and oven safe. This would be a great gift for the baker in your life. The Woll Diamond Plus Pan has become one of my favorite go to pans in my house. This pan has been working wonders and has been giving my family and I wonderful easy to make omellettes that have turned out deliciously. 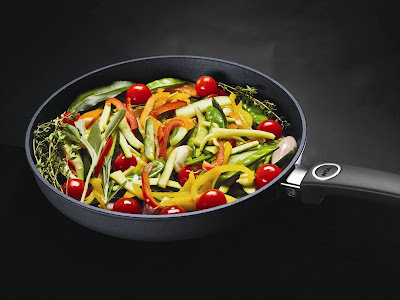 The Woll Diamond Pan is also non stick and is perfect for those of you who love to create lovely meals for your family and friends. When you pick it up, you can tell that it's durable. It has a bit of weight on it, but it's not one of those cast iron pans that's really heavy to use. This is light, but you can tell that it's very durable. You can use this on stove tops that are gas, electric, ceramic and you can also use this in the oven because of its ovenproof handle! It can be in the oven up to 260C/500F. I was pretty excited about that. I plan on making some enchiladas for the family and I soon and this pan will be perfect to put them in and cook in the oven. It's dishwasher safe, which is great and PFOA-Free. This pan would be a great addition to those of us who love to cook. It's definitely a gift worth getting this Holiday season. 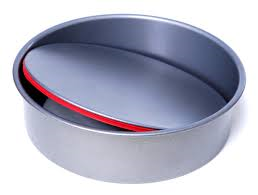 You can purchase both the Woll Diamond Pan and Push Pan online at www.pangeadirect.ca. Disclosure: All opinions are my own. I received both mentioned items above at no cost for the purpose of this review. No other compensation was received.